Via Steven Mufson at The Washington Post. Eager to limit the cost to the Treasury — more than $4 billion by the end of fiscal year 2009 — Congress said that black liquor would not qualify for the alternative fuel tax credits after Dec. 31, 2009. And to help cover the cost of the January 2010 health-care law, Congress also barred black liquor from qualifying for the cellulosic biofuel tax credit. Last year, the IRS said that the provision in the 2010 health-care legislation didn’t prevent black liquor produced in 2009 from qualifying as a cellulosic biofuel, so the paper industry got its calculators out again. The cellulosic biofuel tax credit, part of the 2008 farm bill, is worth $1.01 a gallon. I can understand how this might happen initially. Laws are written vaguely and companies take advantage of a law not intended to benefit them. This is frustrating in and of itself, but given the complexity of our tax code its bound to happen sometimes. However, the fact that our laws are so complicated that Congress tried, and failed, to fix this loophole is beyond belief. One can’t really blame the companies here. As one representative from a trade group said, the companies have the responsibility to take advantage of these legal tax loopholes as they owe it to their stockholders to maximize profits. 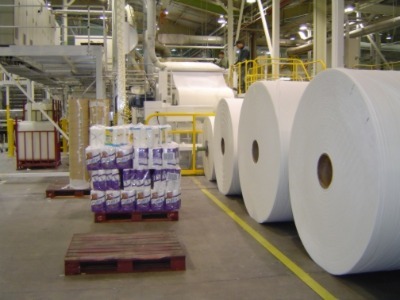 The number of dollars involved is staggering, with credits ranging from a relatively low $29 million to a staggering $2.1 billion by International Paper. The article mentioned that this represented up to almost a quarter of profits for companies in some instances. Score another for scrapping the entire ethanol experiment. And remember this when they tell you there’s little real waste in Washington, and they need more revenue.